A fruity Italian Super Tuscan wine from RJS Craft Winemaking, En Primeur premium wine kits series! 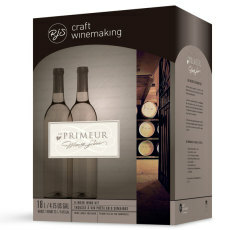 A light, crisp and refreshing Italian Pinot Grigio from RJS Craft Winemaking, En Primeur premium wine kits series! A delectable bold red Italian wine from RJS Craft Winemaking! A rich and high quality Chilean Malbec from RJS Craft Winemaking!